China's sluggish economy is dragging the world down with it. 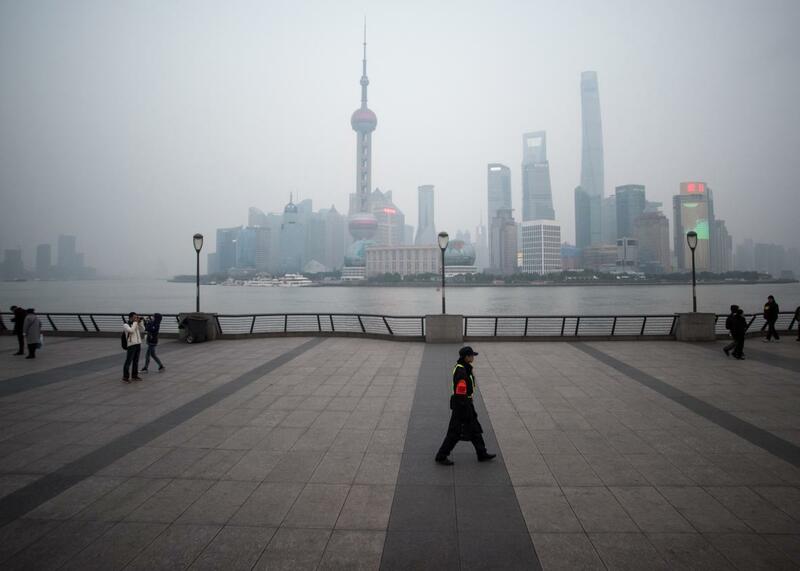 A security guard walks at the bund near the Huangpu River across from the Pudong New Financial district, in Shanghai on Jan. 18, 2016. Another week, another set of ugly economic indicators for the global economy. After an especially wild few weeks on the Chinese stock market, the International Monetary Fund cut global economic growth forecasts for the third time in less than a year on Tuesday. The world economy is now expected to grow at 3.4 percent in 2016 and 3.6 percent in 2017, both down 0.2 percent from the previous estimates in October. The cut is due in large part to falling commodity prices and the ongoing slowdown of the Chinese economy. According to official figures, also released on Tuesday, China’s economy grew 6.9 percent in 2015, down from 7.3 percent the previous year and the country’s slowest growth rate in 25 years. Expected or not, the slowing of Chinese demand for raw materials is dragging down commodity markets and wreaking havoc on developing countries whose economies are closely tied to China’s. A few years ago, “Chinzilla,” the nexus between China and Brazil, was a major driver of the world growth. Now it’s seen as a major threat to the global economy, with Brazil’s economy expected to contract by nearly 3 percent this year. The dour news comes as the world’s business and political elite gather in Davos, Switzerland, for the World Economic Forum this week. The summit was already expected to be overshadowed by geopolitical concerns including the war in Syria, the fractious state of the European Union, and the global refugee crisis. After today’s numbers, the delegates can’t exactly look to the economy for relief from the gloom.